Praised as a “[musically] eloquent” (San Francisco Classical Voice) player “with the kind of freedom, authority, and strength…that one expects from the world’s finest pianists” and a “bewitching musical presence” (The Piedmont Post), 21 year-old pianist and composer Audrey Vardanega was born and raised in Oakland, California and began her piano studies at the age of six with Araks Aghazarian. 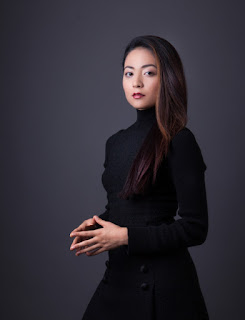 She began formal piano training with Robert Schwartz at the San Francisco Conservatory of Music from 2002 to 2013 as well as formal composition training with Arkadi Serper at the Berkeley Crowden School from 2004 to 2013. Her past instructors include Seymour Lipkin, Jeremy Siepmann, Christopher Elton and Victor Rosenbaum. She is currently pursuing her Masters of Music at Mannes The New School under the tutelage of Richard Goode. Vardanega earned her B.A. in Political Science from Columbia University. Along with five other internationally selected pianists, Vardanega participated in the Carnegie Hall Workshops with Jonathan Biss in February 2017, exploring late piano works by Brahms, Beethoven and Schubert. She participated as a fellow in the Ravinia Stean's Music Institute in the Summer 2017.